Submitted by ken on May 14, 2007 - 10:02am. 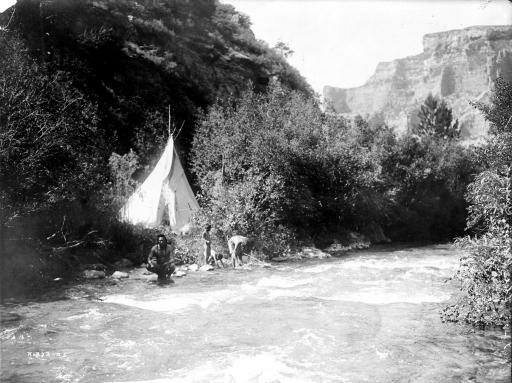 A Crow man with two children and a woman at river's edge in Montana. Photograph by Edward S. Curtis, c1905. View full image.